For most Europeans, Africa conjures up images of wild untamed lands, filled with abundant wildlife and unique cultural groups; this perception is relatively accurate. Africa contains 45% of the world’s uncultivated land, it is the greatest wilderness on earth, and humans have lived alongside animals in Africa longer than anywhere else in the world. Yet Africa is changing at incredible speed resulting in dire consequences for its wildlife. Africa’s human population is growing at twice the global rate. The population of sub-Saharan Africa doubled from 500 million people in 1990 to an estimated 1 billion in 2015 and is estimated to reach 4 billion by 2100. With population growth, supporting infrastructure such as cities, farms, and roads grows too. These developments affect wildlife by cutting migration routes, reducing land available for grazing, creating barriers between populations, and increasing human-animal conflict over food sources. Additionally, the need to feed Africa’s rapidly growing human population has created intense demands for ‘bush meat.’ Wild animal populations are being killed for food consumption, both legally and illegally, including endangered species. 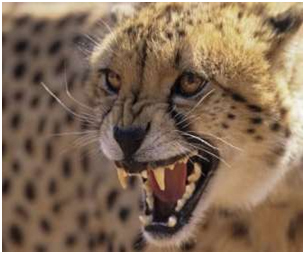 The depletion of prey species for human consumption directly impacts the availability of food for predator species like the cheetah and disrupts the natural ecosystem that ensures a healthy planet. Throughout Africa, 78% of cheetah range is outside of protected areas, and thus they are directly affected by human expansion. Cheetahs are losing their prey grounds and coming into conflict with farmers and their livestock. Many strategies have been used throughout Africa to protect wildlife, such as, protected parks, wildlife corridors, and development bans. While often successful, these strategies do not address the root cause of the threat to wildlife populations; that increasing and expanding human populations increases the frequency and scale of human-animal contact and conflict. 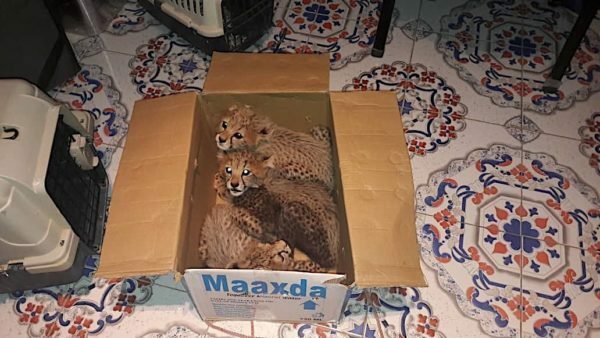 It is clear to the Cheetah Conservation Fund (CCF), that wildlife conservation models that do not address the health and well-being of local human populations are inadequate. CCF’s guiding conservation strategy encompasses working with and empowering communities, so they are strong enough to steward wildlife and manage their local natural resources. Healthy human populations and viable wildlife populations are intimately connected. One cannot be achieved without the other. To meet this goal, CCF has implemented farmer educational and Livestock Guarding Dog Programs (LGDP) that are providing good results throughout Namibia. The LGDP has placed over 600 dogs on ranches throughout Namibia, leading to an estimated 80-100% reduction in livestock loses. CCF is providing other conservationists in cheetah range countries with support in rolling out similar programmes. As we enter the 21stcentury, we face staggering challenges from climate change, exponential human population growth, food scarcity, resource depletion and more. As the birth place of humans and the continent with the greatest amount of wildlife, Africa is symbolic of the challenges we face and the moral imperative we have to face them. If, as a global population, we overcome them and create a 21stcentury Africa with healthy and prosperous human populations developing in harmony with animals and ecosystems, then we will have taken the best step in bringing ourselves and our world back from the brink. As the great David Attenborough states, “the relationship of the rest of the world to [Africa] and the creatures that live in it is more important than ever before. We must learn from our mistakes and not let the cheetah become ‘extinct’. 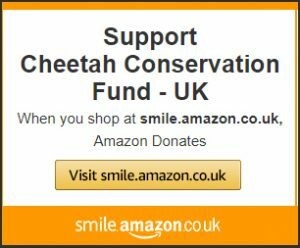 Donate to Cheetah Conservation Fund UK today and have an immediate effect on reducing cheetah and farmer conflict in Namibia and in other cheetah countries. 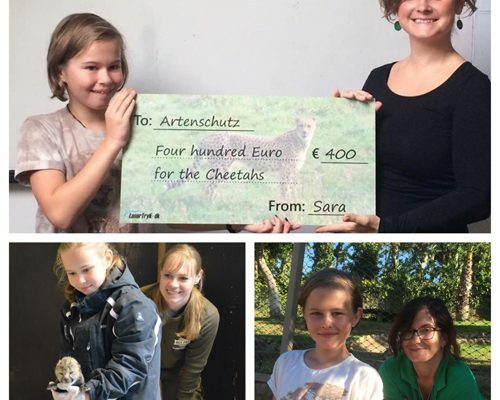 “The Importance of Human Reproductive Health and Rights for Cheetah Conservation”, Cheetah Conservation Fund and Margaret Pyke Trust Population & Sustainability Network,January 25 2018. Jeo, Richard M. et al. “Drivers of Habitat Loss and Fragmentation: Implications for the Design of Landscape Linkages for Cheetahs.” Cheetahs: Biology and Conservation. Ed. Marker, Laurie et al. Cambridge USA: Elsevier Inc. 2018. 137-149. Print. BBC Africa. 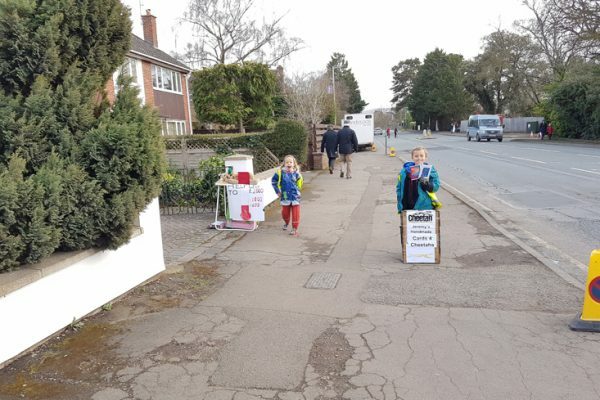 “THE FUTURE”, Directed by Simon Blakeney, performance by Sir David Attenborough. (Episode 6), January 2 2013. Blakeslee, Nate. American Wolf: A True Story of Survival and Obsession in the West.Crown. October 17 2017.